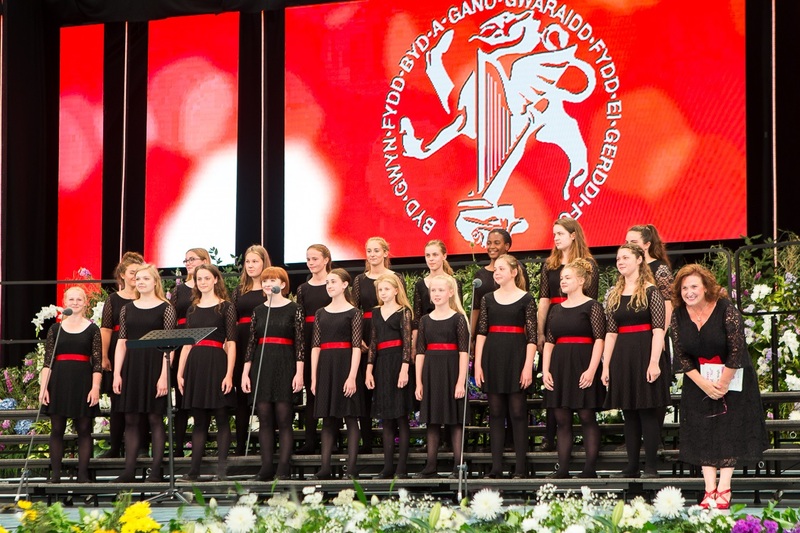 Many congratulations to Cantabile Girls’ Choir of Hereford Cathedral School on becoming the first English choir to be voted Children’s Choir of the World at this year’s International Musical Eisteddfod Festival in Llangollen. 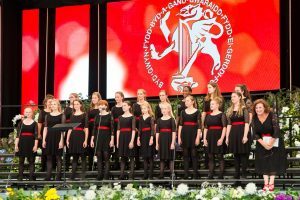 Cantabile have been past winners of BBC Songs of Praise and were Barnardo’s School Choir of the Year in 2017. Jo has herself been voted conductor of the year at the International Eisteddfod in past years. This year she also led the girls to victory in the folk song category with Waly Waly and Bobby Shaftoe. Jo, pictured right with the winning girls, once a globetrotting opera singer until she became a singing teacher at Hereford Cathedral School, founded the Cantabile Girls’ Choir over 10 years ago. She explained the secret to her success with Cantabile who have automatically qualified for the World Choir Games, which take place in Sweden in 2019 – also dubbed the Grand Prix of Nations. In awarding Cantabile first place in the folk song category, judges said: “The first song, Waly Waly – sensitive singing, full of longing and feeling and full of emotion, which of course this song needs as the song went on. There was a variety in dynamics and it was overall a very, very carefully thought out performance, which really made us feel the song with you.